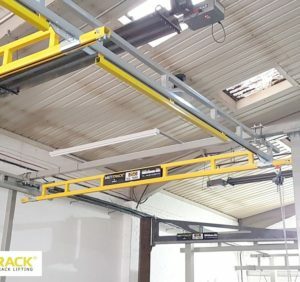 Metreel: MET-TRACK - Workstation Cranes enable you to achieve effortless and reliable area-serving overhead handling for a wide variety of applications. Each system is configured with the operator in mind and includes the principle feature of ease of movement, designed to reduce fatigue and ensure accurate load positioning. Quality materials and construction ensure operational reliability and safety and facilitate long life combined with minimum maintenance.